Field service routing software is the product of many years of innovation. People, especially myself, are always interested in improving their route planning. Actually, I have a funny story. A few months ago, I had lunch downtown and afterward wanted to watch the new Star Wars at the theatre. Since I didn’t have a data plan, I used the restaurant’s wifi to take a screenshot of the directions. I then walked over to the movie theatre. But when I looked up, I was back at the restaurant. How? As dumb as it sounds, I mixed up the route sheet’s start location and end location somewhere in the middle of my walk. Even with the map, I ended up walking in a circle. D’oh! My movie story, really, is nothing compared to what some route planners go through. Route managers are not just responsible for planning a single trip; they might be responsible for planning hundreds of jobs per day! 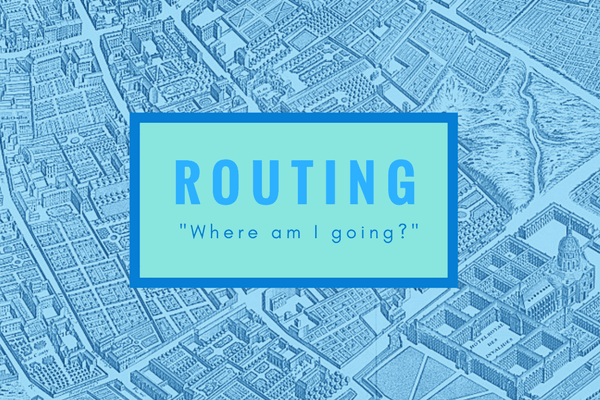 The routing challenge is so interesting that it is actually a famous math problem called the Travelling Salesperson Problem. The Travelling Salesperson Problem is solved by determining the quickest route to visit all customers. Field service companies solve this problem all the time. We’ll look at three solutions – manual solutions, routing apps, and dedicated field service routing software. 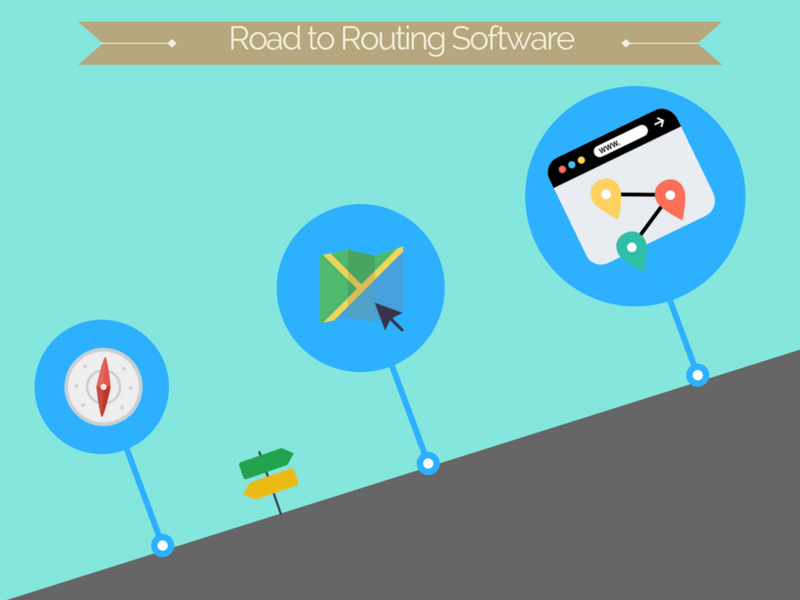 Manual planning is the traditional routing solution. It’s exactly how it sounds. Managers manually look at maps and calculate the best route. Is it a horrible solution that should never be used? Not necessarily! Manual planning works well for businesses that have repeating customers and repeating schedules. In other words, each day is the same as the last day. Once a route is set for the first time, it stays consistent. Of course, manual solutions might not work for complex routes. For instance, what if a business has changing customers? Just like the Travelling Salesperson Problem, managers need to review hundreds of route combinations. Not fun, even for a math wiz! Thankfully, there are now easier ways to plan routes! Instead of working from a map and calculator, people can use computer programs. Google Maps is perhaps the best known free app. Users can enter several different destinations. Savvy users can even enter preferences such as “avoid highways”. After entering the data, the computer generates several options. Now, here’s a question. 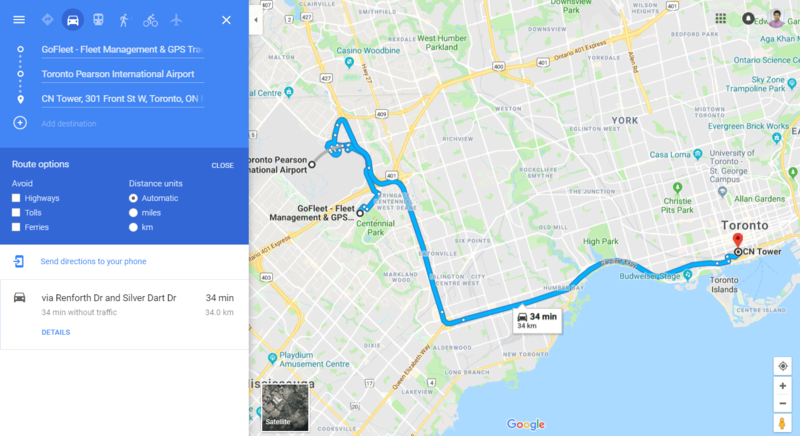 Why don’t fleets just use Google Maps instead of routing software? Google Maps has a few limitations. One of the biggest limitations is managing fleets. While Google Maps works well when coordinating a single schedule, it struggles to manage a fleet. There are many unaccounted factors such as work shifts, breaks, closest drivers, and employee productivity. Field service routing software fills the gap between fleet management and electronic route apps. Let’s explore the top 3 benefits. Routing software allows managers to look after multiple employees. For instance, managers can input variables such as employee shifts and load capacity. Additionally, managers can add routes on the fly by locating the closest drivers. Managers are also responsible for monitoring drivers. “I am responsible for keeping the team on track,” said a manager. “My routing software has a visual map report where I can see the assigned route in one colour and the actual route in another colour. If someone goes off course, I can see that very easily.”. Field service routing software also saves a lot of time! Users access anything from live driver locations to existing customers. As a result, users simply select existing data rather than having to enter all the information again. Click here for more information about routing programs. What is Successful Vendor Management?